February 2014 – LEARN • CREATE • BE HAPPY! Check out our giveaway with Create & Decorate! 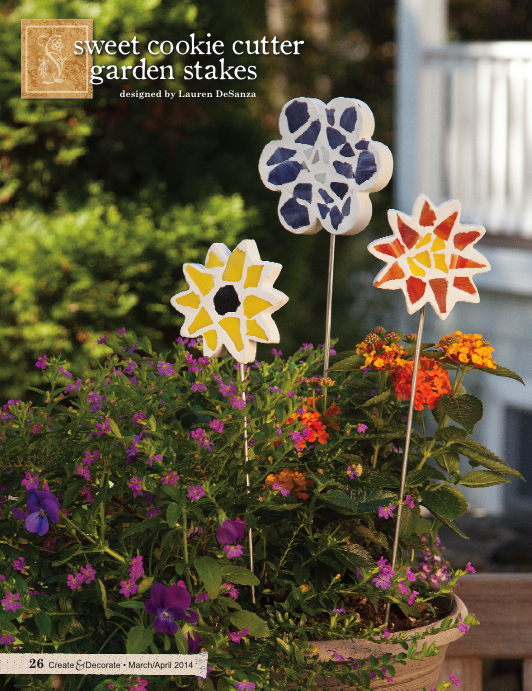 The sweet cookie cutter garden stakes (shown below, and featured in the March/April 2014 issue of Create & Decorate) are so much fun to make, that Diamond Tech has offered us some product for a giveaway! 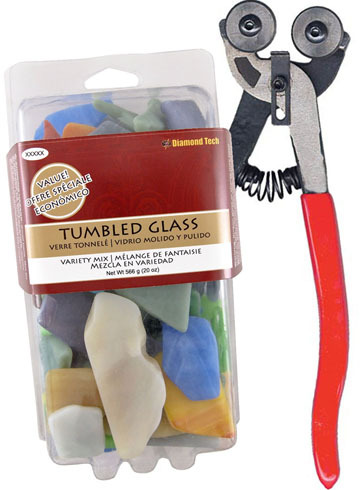 How about a pair of Jennifer’s Mosaics Wheeled Glass Nippers and a 20 oz. Variety Tumbled Glass? Yes, please! At a value of over $34.00, the lucky winner will have beautiful garden stakes completed in plenty of time for spring planting. To enter, leave us a “pick me!” comment. Good luck! The lucky winner will be announced Thursday March, 6. Check out the many fun products Diamond Tech has to offer here!